Have you found YOUR Prince Charming? If not, try this little guy on for size! 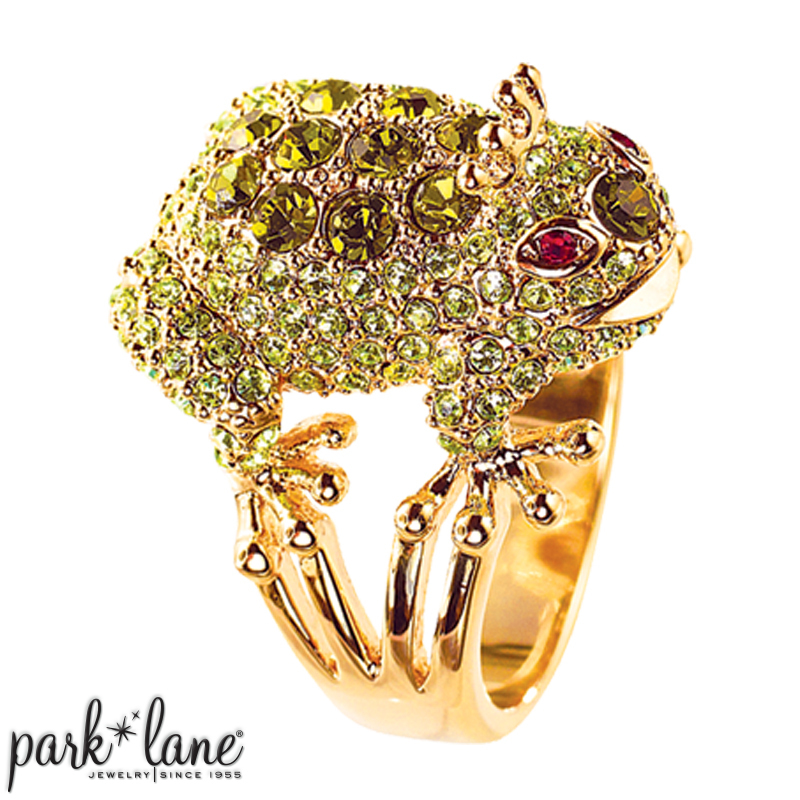 Our adorable frog ring arrives fully decked out in all his sparkling green crystals and gold crown! 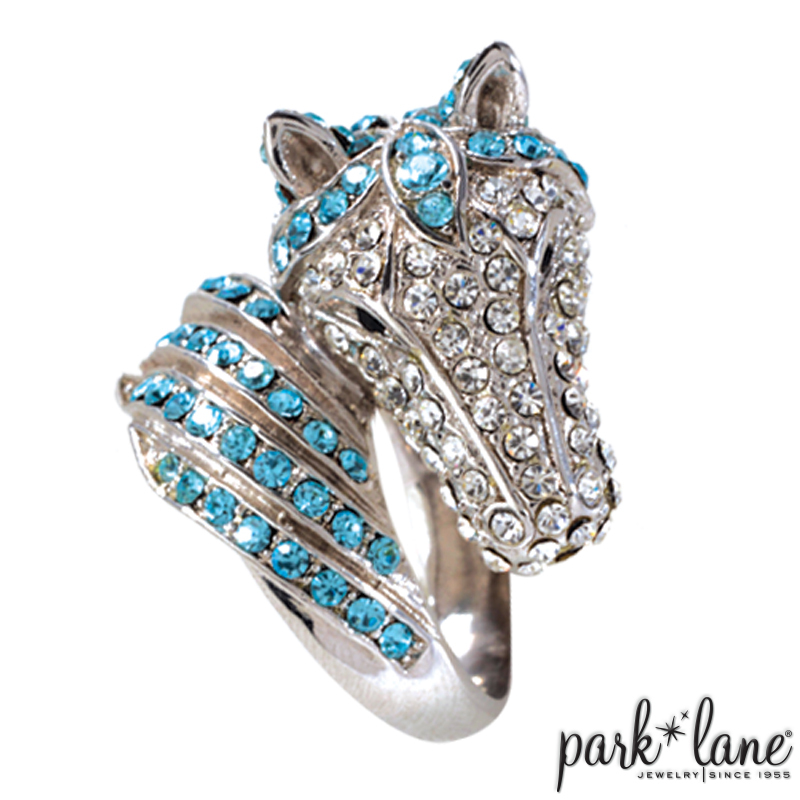 Be sure to wear him face-out so he can help you watch for your PRINCE CHARMING to show up! 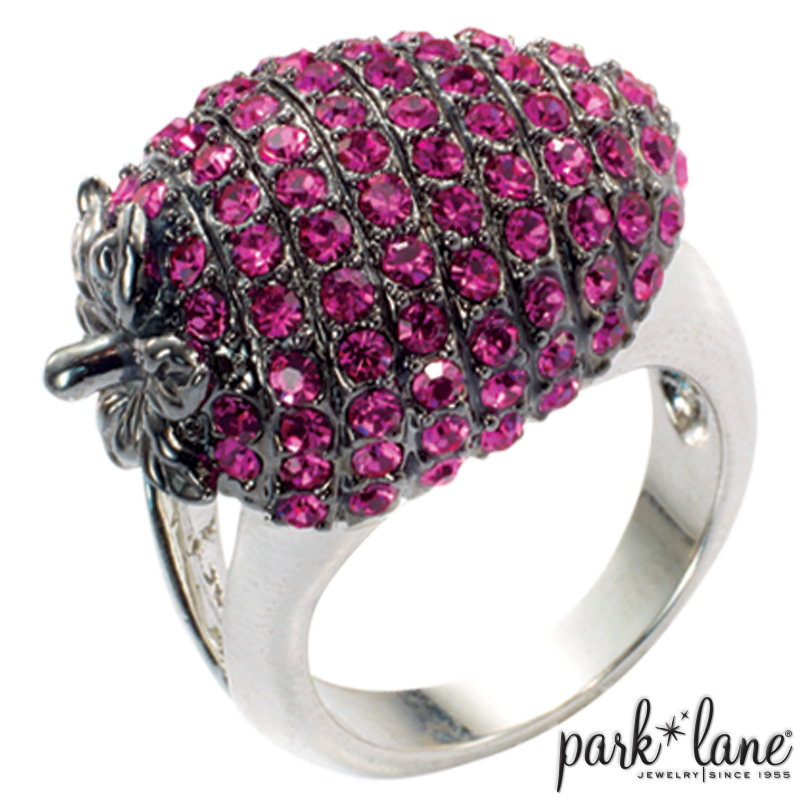 Ring is available in sizes 5-10. Approximately 7/8 inch long. Ruby crystal eyes. Peridot and loden green crystals on body. 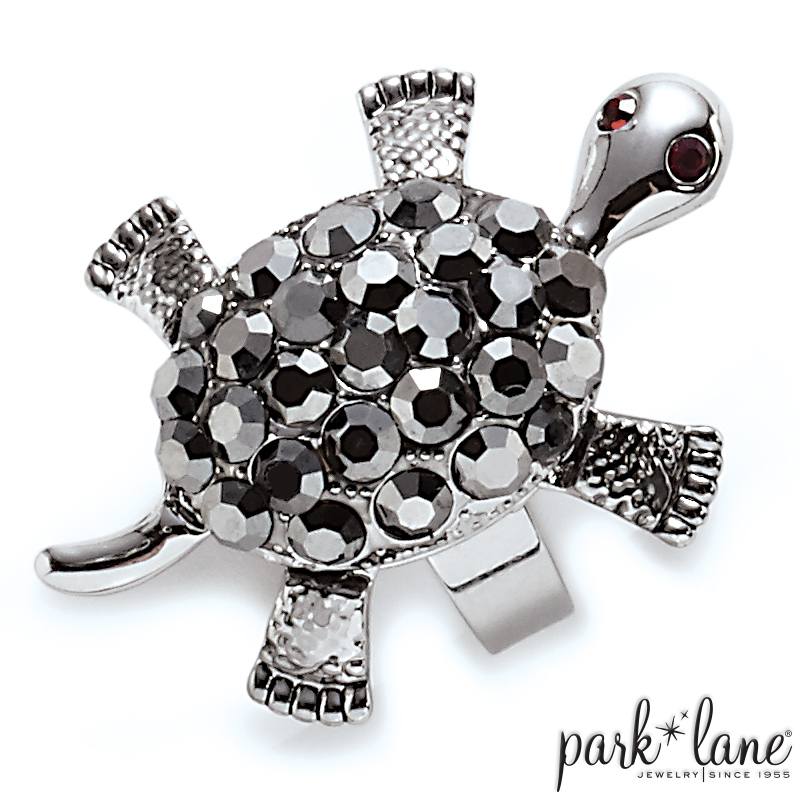 Cute worn with anything, but especially flatters ensembles: M`Lady, Signature-olivine, Garden Party, Willow, Jade, Shannon.